I never would have thunk it, but the Twin Cities have got a fabulous foodie culture. I just returned from three days visiting and eating with my dearest friend who now lives in St. Paul. 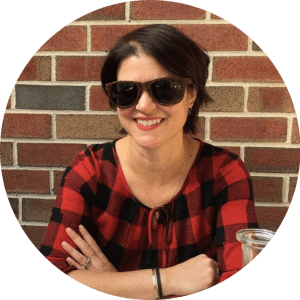 I’d listened to her stories of bountiful farmer’s markets, outstanding Vietnamese cuisine, and of course, the deep-fried madness at the Minnesota State Fair, but I never really believed it until I tasted it all for myself. 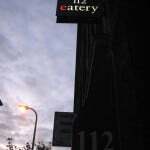 If you’re lucky enough to find yourself in Minneapolis, be sure to make a reservation at 112 Eatery. It wasn’t until I started writing this post that I went back to their website and found that it’s been lauded far and wide. Chef Issac Becker won the James Beard 2008 Best Chef Midwest award! Initially, I had skipped by all of that, clicked on the menu, spotted the lamb’s tongue, and knew this was a place for serious foodies and the perfect start to my mini-trip. 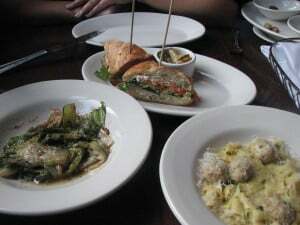 The menu is a varied but well composed selection of entrees and small plates. I wanted to maximize my experience so our table ordered the small plates and glasses of flavor friendly cava to wash it all down. Tagliatelle with foie gras meatballs are the standout dish. The noodles are soft and eggy and just perfect next to the soft, rich meatballs. (They seemed to be a blend of ground chicken and foie gras, but I’m not 100% sure.) Chinese fried eggs are served sunny-side up with a drizzle of fish sauce and spicy, thinly sliced green peppers. Little duck paté banh-mis provided a bright, refreshing bite of pickled goodness, and our green was a translucent escarole sauteed with anchovies and nutmeg. Why didn’t I think of that? It’s perfect. I can’t wait to make my own version at home. I mistakenly thought the dessert portions would be similar to our meal portions. Not so. 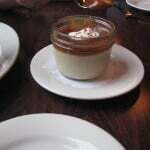 The butterscotch budino is a generous serving of butterscotch pudding covered in caramel sauce and finished with sea salt. Awesome. The enormous piece of coconut pecan cake was less exciting, but in fairness, I was pretty full at that point. Little did I know what lay ahead of me the next day….